A colorful canvas awning can provide an attractive complement to your home's exterior. 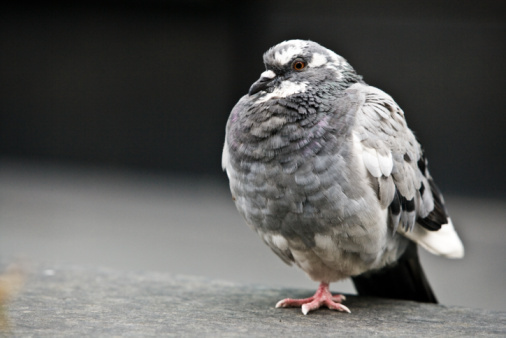 Unfortunately, your awning can become stained with mildew, fungus and bird droppings. Dirt and grime can also work their way into the awning's woven fabric. Over time, any of these substances can weaken the fabric's sewing threads, causing the fabric to eventually disintegrate. Once that happens, the awning's appearance and structural integrity become a problem Cleaning your awning regularly will minimize these risks and give your awning a longer life. Regularly clean your home's awnings to prolong their life. Pour cool or lukewarm water into a bucket. Add 3 ounces of a mild laundry soap such as the kind used for baby clothes or delicate washables per gallon of water. Do not use detergent. Mix the solution until it is foamy. Set up an appropriate-size ladder to reach the awning. Correctly position the ladder's feet and lock into place any safety mechanisms. 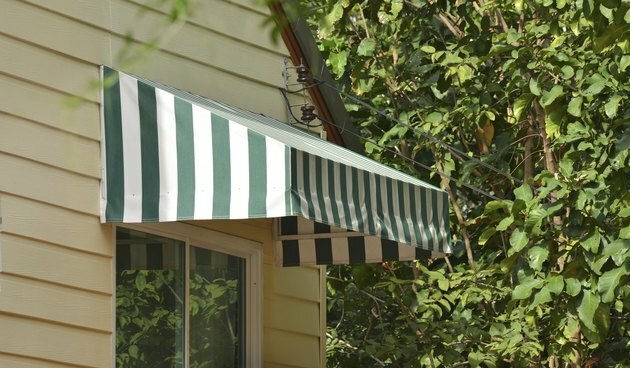 Remove cobwebs, leaves and other debris from the awning's underside. Use a household broom from which you have first removed dust bunnies and dirt. Wet down a manageable portion of the awning with a garden hose. Place your cleaning solution bucket where you can easily and safely reach it. Scrub the awning with a stiff brush saturated with the soap solution. Use a circular motion to work the solution into the awning fabric. Limit the size of your work area so the soap does not dry on the awning. Rinse off the soap solution and dirt with the garden hose. Allow the awning to air-dry.